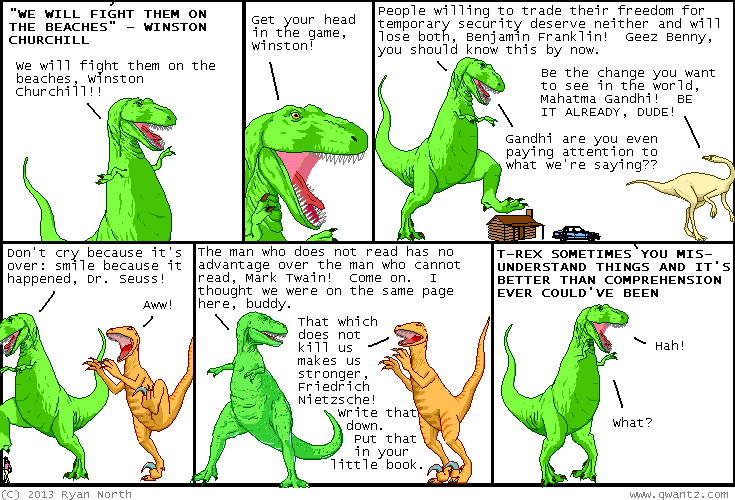 Dinosaur Comics - January 21st, 2013 - awesome fun times! January 21st, 2013: There is a new comic launching today that is a collaboration between Chris "Dr. McNinja" Hastings, Anthony "Nedroid" Clark and myself! It is called GALAGA and YES you can read it RIGHT HERE.